By Priya Jadav, AFS Alumni & VolunteerGandhinagar chapter. “I’m an AFS Alumni, 2016-17 batch, to the Czech Republic. 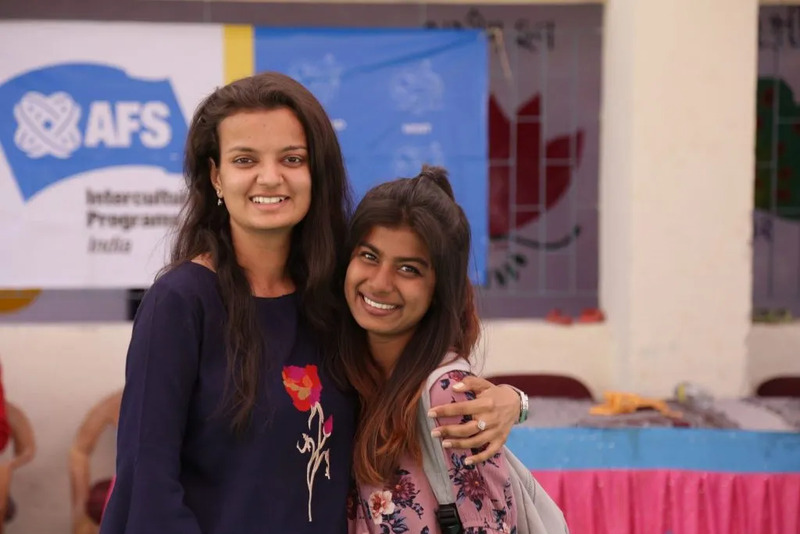 After I returned to India, I’ve been volunteering with AFS and have been an active volunteer since then. In 2017, just after I returned, I got this wonderful opportunity for doing community service among 35+ other volunteers. The community service took place in the beautiful city of Indore. This year too, I got the same opportunity so that I could help the people around me for their betterment. The National Community Service of 2019, took place in Gandhinagar. It was a great opportunity for me as well as for my chapter. This year, we had planned things in a very systematic way. I was a part of the Education group. In total, almost 10-12 volunteers were in this group and we covered 3 schools, mostly from standard 5th to 10th. Our main purpose was to teach English, Maths, and Science to the students. All the group members were divided accordingly and for four days we taught the students. It is sometimes seemed difficult to handle kids but things still went according to the plan. For me, teaching the students was a great experience. It was a process of teaching and learning. The kids we met were extremely talented and smart. It was really easy to make them understand anything. They were very keen on learning new things and they’d even come to us and ask if they didn’t understand anything. It was a great experience overall. It was my second time, teaching the school children and I am very happy about the fact that I was given this opportunity. Helping the community always gives you happiness. It is a very beautiful way of spreading love and knowledge. Helping people make their lives better, somehow makes our lives better too. By communicating with different people, you get to realize how much beautiful this world is and how much we have to learn from our community.